Singapore's weather is totally terrible! 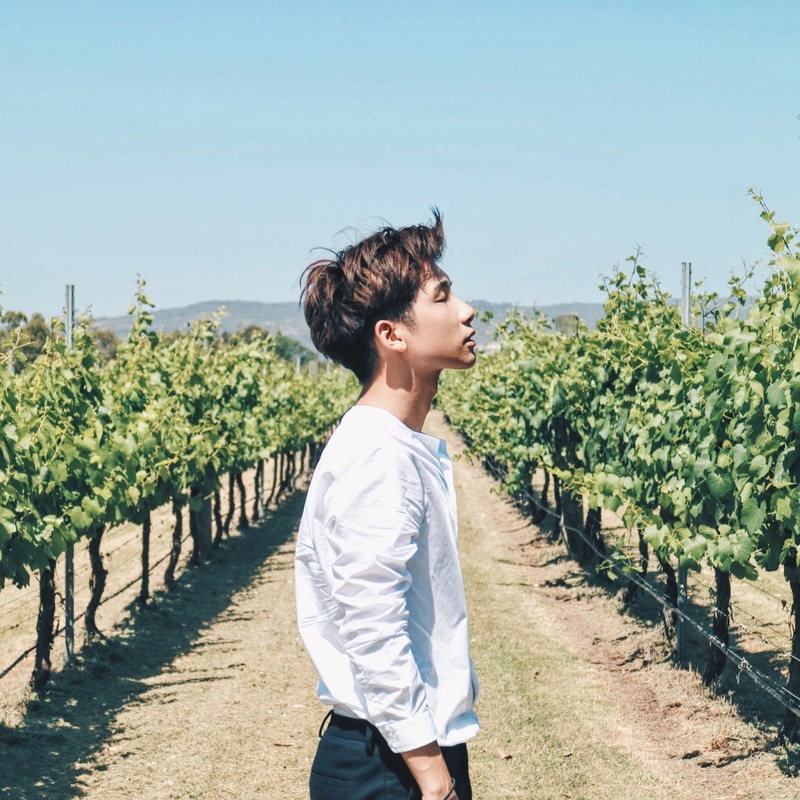 The weather can be so unpredictable that it changes suddenly from a scorching sunny day to heavy rain and maybe back to sunny day! Therefore, whenever we're out the whole day (no matter to school, work, or even shopping), we'll always feel sticky, tired, lethargic and dirty after that! Nice bathe or shower right???? 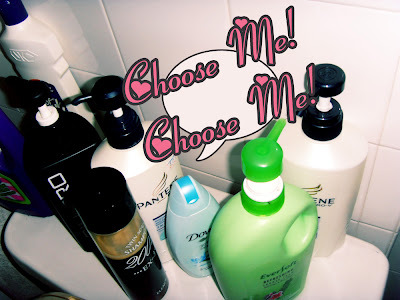 But not every body wash can make you feel refresh after a long day, worse if those body wash don't smell nice at all! 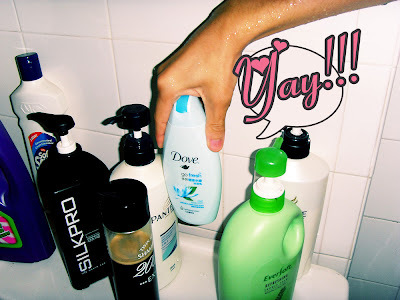 Dove now launches the all new Dove Go Fresh™ product range!!! Let me show you the 3 different variants okay? Wow!! 3 different pleasant fragrances!! Cucumber & green tea, grapefruit & lemongrass or freshmint & waterlily?? After I did a smell test to all 3 of them (yah, of course must smell first what right?! ), I personally like the freshmint & waterlily one the most! But grapefruit & lemongrass is like not bad too you know, quite special actually! 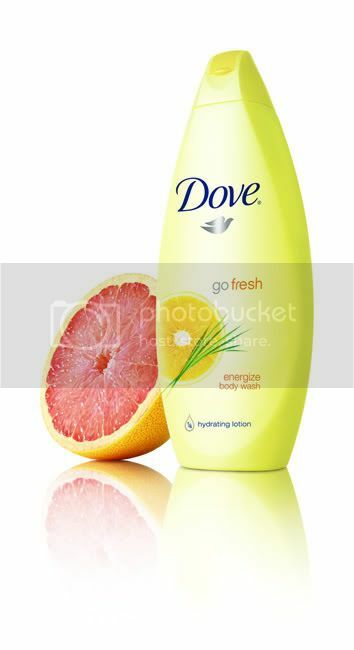 With the pleasant fragrances from the Dove Go Fresh™ products, which has ¼ hydrating lotion and you can now step out of the shower not only feeling refreshed and rejuvenated but with your skin hydrated, smooth and supple too. 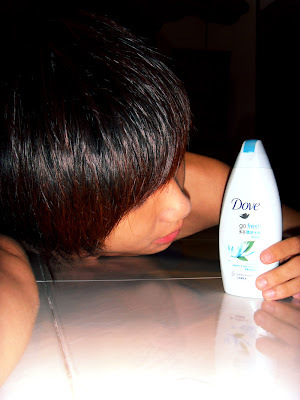 So don't wait as Dove is available in all major supermarkets and personal care stores now already! Go get yourself refresh now!!! 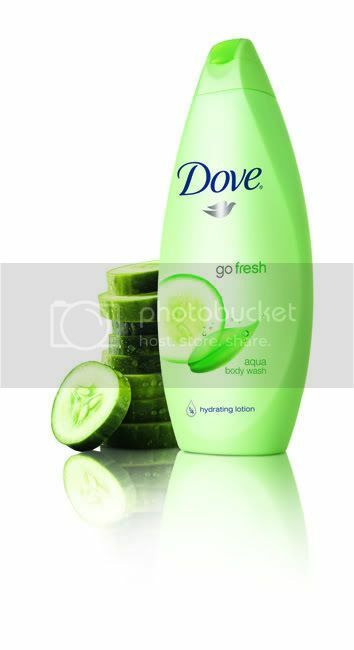 Look fresh, feel fresh, smell fresh, live fresh! No no, that's not all! 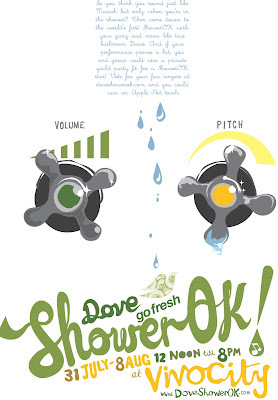 In conjunction with the launch of Dove's new Go Fresh™ body wash product range, Dove is organizing a public shower singing event! In line with Dove's philosophy of real beauty, the Dove ShowerOK hopes to bring out the real side of you that exists in the shower. Let your inhibitions go and express yourself in an all new refreshing way! Take a look at their pretty posters they did for the event!! This one is very prettttyyy!! I like the rain drops together with the small little musical notes and how they actually blend and make use of the colours, yellow and blue together!! Okayokay, back to the event!! 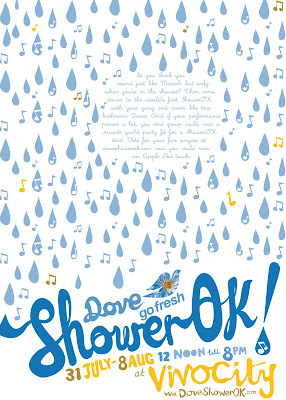 So Dove will be constructing a shower booth complete with an in-built Karaoke system, to let participants express their inner real musical selves, all within the environment of a shower cubicle to mimic their own shower experience, fully-clothed of course. 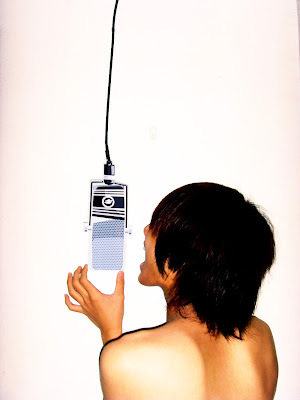 Playing with the microphone press kit that Dove gave me! How come all their designs are all so chio one!! 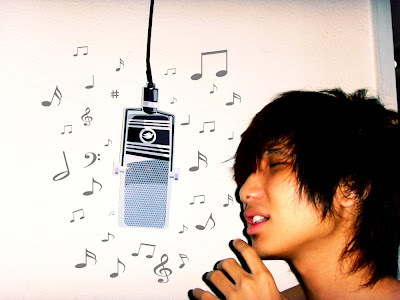 All are simple yet nice hor! So no shy, no shy! 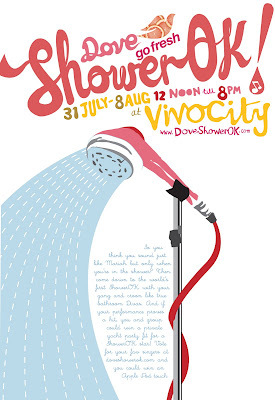 As it aims to let participants live out their secret shower singing performances all in the name of good, clean fun! 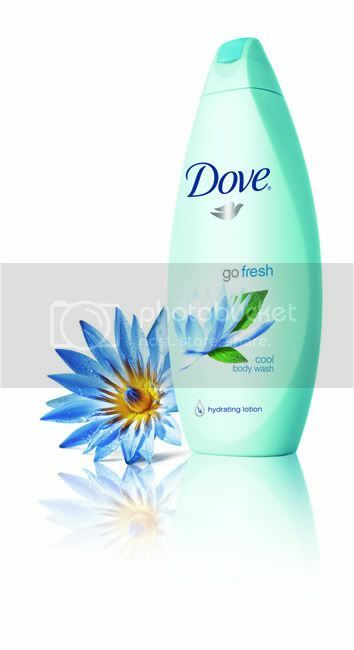 Each individual/group performance is recorded via a webcam and then uploaded onto the Dove Go Fresh™ microsite (www.doveshowerok.com). Viewers will then get a chance to play these video clips and vote for who they think, deserves to be the inaugural Dove ShowerOK champion. And the champion will of course be me!!! Just kidding lah! But I'm seriously thinking of whether to join it cause the winner can actually win a one day private party on a yacht lor!!! Which was what I wanted and plan to have it on my 21st Birthday!! So I might be joining, and you guys do go join too! Just play play go join for fun lah! And maybe you can win the party on a yacht lor, and if that really happen, must remember to invite me there okay? Yay! That's all from me! 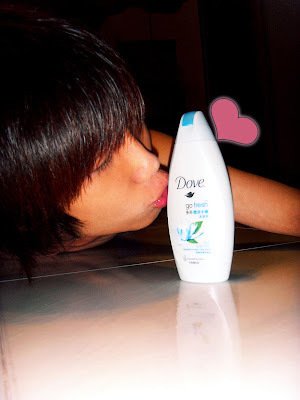 Remember to to grab the new Dove Go Fresh™ and also to join the singing event too okay?